The European Commission (EC) has declared 2013 as the Year of Air and is encouraging citizens from the 27 Member States to share their views on this topic. Maintaining good air quality is a major challenge in Europe. 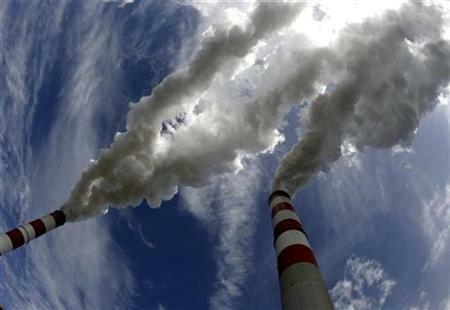 Although progress has been made in reducing emissions of air pollutants, people are still exposed to excessive concentrations of some air pollutants. According to recent studies published by the European Environment Agency (EEA), air pollution, especially particulate matter, is a major concern for public health and the environment. As a response to this issue, the European Commission has made 2013 the Year of Air. This is timely as the EU Thematic Strategy on Air Pollution and related policies will be reviewed in 2013. European citizens will have a say in the revision with the consultation on the strategy open until March. This month the Commission, together with the World Health Organization (WHO) Regional Office for Europe, will review the latest health studies on air pollution and present the main conclusions at the workshop 'Understanding the health effects of air pollution: recent advances to inform EU policies' that will take place later this month in Brussels. The event will also summarise recent advances on this topic and pinpoint key areas for further research.